I’d never seen Mom so sick in my entire life. Somehow she had contracted meningitis and strep pneumonia in her blood, and the doctors at John Cochran’s V.A. hospital in St. Louis, Missouri, delivered the grim news to my three sisters and me. We sat there in stunned silence as the doctor told us that mom was only the twelfth person in the United States to contract these two infections together, and so far, no one had survived. The doctor didn’t expect mom to regain consciousness, but said she would more than likely slip into a coma and without actually saying it, it was understood that he expected mom to die. How could God allow this to happen when He knew how much I needed mom to stay here with me? She had become more than just the woman who gave birth to me; she was my companion, my confidant, and my best friend. She had given me support after my divorce, and became a surrogate parent to my three boys. Because of mom, I had been able to return to work and not have worry about where my children would stay, and how I would pay for it. When I finished, I remembered I had brought my bible to the hospital and the thought, “I need to read to mom,” popped into my head. I told the ICU nurse that I was going to read the bible to mom, and she gently warned me, “Don’t get your hopes up, honey.” I looked at the nurse and told her, “But, I believe in the power of prayer,” and walked through the doors to the lobby. After I got my bible, I went back into mom’s room and opened it up to Ephesians 1 and whispered the entire chapter to her. When I was done, I began to quietly sing, and before I finished the first song, mom opened up her eyes and looked right at me! “Oh my God she’s awake!” I screamed in my head. At first I couldn’t believe it! She was supposed to die! I controlled my voice–trying to remember all the other ICU patients–and squeaked out a high-pitched, but soft “Hello!” I wanted to run and jump, and scream and shout; I was ecstatic, God answered my prayer-and quickly. I went to get the nurse and told her mom was awake–but by the time we got back to the room, mom was back asleep. I felt so good, and after three days of little sleep, little food, and high strung emotions, I felt it was safe enough to sleep. I was awakened an hour later by the same ICU nurse. “Is your name Cheri?” She asked. “Yes,” I said. (Mom always called me Cheri.) “Well,” the nurse told me, “your mother is awake, and she is asking for you by name.” I jumped up from the chair I was sleeping in and ran into mom’s room, but she was asleep again. So, I went back to the waiting room to lay down again. Mom left the ICU ward that very same day. Her story circulated the hospital; the hallways, the nurses stations, and even the cafeteria; everyone was talking about the miracle woman, and asking if she was our mom. Not only did God cause her to survive two deadly infections, her recovery was without side effects from the meningitis! God miraculously healed her completely, and ten days later, I took her home. God sized faith comes in all shapes and sizes. 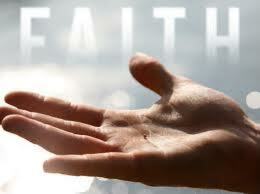 God took my faith, smaller than a tiny mustard seed, and worked a mighty miracle for His glory. Through that miracle I had the opportunity to speak to an entire hospital about God’s love. I continue to tell the story of God’s mercy toward my family, and His miraculous power of healing today. 2 Responses to "God Sized Faith"
Will keep your family in my prayers!